Interested in Selling your Condo in Porto Vita North? Located on the Intracoastal, Porto Vita Condos rise majestically on the last and choicest site immediately north of Turnberry Isle in northern Dade County, a meticulously designed and impeccably crafted luxury community the likes of which South Florida never before has seen. A world apart from the everyday, Porto Vita offers a world of grace, tranquility and good taste where discriminating residents may indulge their appetite for life. Porto Vita is an exclusive community of less than 400 select residences in Aventura, where an indulgent residential retreat is created directly on the Intracoastal Waterway. The community’s classic architecture, meticulous attention to detail and lush, artistic landscaping, coupled with an atmosphere of seclusion and serenity, have redefined the concept of luxury living and set Porto Vita a world apart from the rest of South Florida. Porto Vita residents are surrounded by comforting ambience that stimulates the spirit of the golden age. Strategically located and immaculately designed, Porto Vita Condo offers an unmatchable world of elegance and enjoinment. This luxury community was inspired by neo classic- renaissance architecture, combined with a touch of the Greek islands in the Mediterranean. The views from the enormous terraces open to the endless ocean in the horizon and the inviting open intra-coastal carrousel of imperial yachts. Constructed in 2004, the North Tower at Porto Vita, the newest tower and final jewel in the Porto Vita luxury community, offers 126 residences in 32-stories, which overlook the Intracoastal Waterway and golf courses of the Turnberry Resort. This tower provides floor plans featuring two to five bedrooms with two and a half to six bathrooms, with generous space ranging from 2,056-5,792 square feet. From the elegant, two-story grand lobby, access to the computer-programmed passenger elevators is restricted to resident key cards for maximum security. Condos and Townhomes at Porto Vita offer modern Gaggenau appliances, granite countertops, and Italian cherry wood cabinetry in the kitchen. Each unit contains Maytag super-capacity appliances, overhead cabinets and a molded sink in the laundry area. You can relax and enjoy the Master Suite with his-and-hers bathrooms, which include a Jacuzzi whirlpool bath, steam shower and Chiampo marble floors. Porto Vita condos are the pinnacle of lavishness and sophistication in Aventura with amenities such as spa facilities, swimming pools, tennis courts, fitness center with massage therapists and personal trainers, valets, concierge service, billiards and gaming room, High Tea room, a 21-slip Marina and more. Entry attendants, valet parking and lobby security also help protect your sense of security and peace. At the heart of Porto Vita stands the opulent Villa Grande, inspired by classic Italian renaissance architecture and meticulously crafted by old world master artisans to stand as a testament to those who can, and do, live life on a grand scale. Within a short walk of every residence is the exclusive Villa Grande Club, a treasured jewel that is removed from the rest of South Florida and the world. Broad, sweeping terraces open to the tranquil paradise that is Porto Vita, inviting the lush outdoors into Villa Grande’s epicurean formal dining room and enchanting casual dining area. Members may relax in the impeccably appointed rooms, enjoy their meals outside under clear, deep blue and starlit skies, or create an intimate gourmet experience in the Club’s private dining room. The nearby cozy piano bar, sports lounge and card room, with rich walnut wall paneling and wood-beamed ceilings invoke the sense of warm well-being found in traditional old world pubs. Residents may refresh body and spirit with state-of-the-art cardiovascular and Cybex weight equipment and fitness amenities in tastefully appointed exercise and aerobics rooms. Ornate men’s and women’s saunas, steam rooms, whirlpool grottos accented by Italian tiles and adorned with delicate frescos, and social rooms invite members to linger in their private paradise that includes amenities such as massage and personal training. Those who choose the outdoors are welcomed into a superb tennis complex, or may simply relax poolside, serenaded by the sounds of lightly cascading water from a charming, Atlantean fountain. A very personal domain, the 35,000 square-foot Villa Grande Club is the most exclusive club of its kind in the world, reflecting the stature and good taste of every Porto Vita homeowner. Created by internationally renowned architect Gian Enrico Fabro, a foremost expert in the field of historic Italian restoration, the Club is a masterpiece of grand art and sophisticated pleasure. Fabro and his staff scoured the Italian countryside for more than a year to assemble the precious antiques, materials, finishes and master craftsmen needed to imbue the Villa Grande with authenticity and grandeur unparalleled anywhere else in the world. The centerpiece of a grand and varied social life, Villa Grande’s luxury and gracious amenities are owned by its resident members, preserving for all time the standards of excellence that have earned Porto Vita acclaim as The Ultimate Limited Edition Lifestyle. Ultimate elegance dominates every condo and townhome in Aventura’s exclusive Porto Vita community. The attention to detail and opulence makes Porto Vita one of the most desired locations to live in South Florida. Awaken each day to views of the Intracoastal Waterway, the Atlantic Ocean or Robert Trent Jones Golf Courses right outside your window. Porto Vita Aventura is the most exclusive condominium community in Aventura with only 375 private properties and 18 acres of water front. A high rise, a mid rise and a series of dream like town homes on the bay, makes Porto Vita the ultimate place to live an eternal vacation. Aventura offers a wealth of resources and entertainment which only adds to the attractiveness of living in the pet-friendly Porto Vita community. Porto Vita is earning its reputation as an exclusive residential retreat of supreme privacy, security and serenity for an elite group of homeowners. The lifestyle you’ve always dreamed of can become a reality when you move into your Porto Vita condominium home! Can I call you if I have questions? Your name, email address, and phone # are required. Your personal information is strictly confidential and will not be shared with any outside organizations. By submitting this form with your telephone number, you are consenting for Oceanfront Realty and authorized representatives to contact you even if your name is on the Federal "Do-not-call List." CondosandCondos.com is not responsible for the accuracy of the information listed above. The data relating to real estate for sale/rent on this web site comes in part from the Internet Data Exchange Program and the South East Florida Regional MLS and is provided here for consumers personal, non-commercial use, It may not be used for any purpose other than to identify prospective properties consumers may be interested in purchasing. Real Estate listings held by brokerage firms other than the office owning this web site are marked with the IDX logo. Data provided is deemed reliable but not guaranteed. 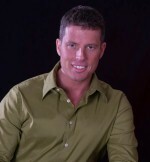 Steve Samuels is known as one of the premier Aventura Real Estate & Aventura Condo Brokers in the South Florida market. His negotiation skills, market knowledge and no-nonsense, results-driven approach has made him one of the most sought after luxury condominium, Oceanfront, Beachfront Condos, Oceanfront Villas, and single family waterfront realtors from Aventura, Miami, to Palm Beach County. View MLS Listings for Aventura, South Beach, Miami Beach Condos for Sale & Rent in South Florida and Miami Beach. CondosandCondos.com is one of the Leading South Beach Real Estate websites where you can find Beachfront Condo Sales, Oceanfront Condos Sales & Rent . Search for Oceanfront Condos Luxury Condos in Miami, Miami Beach, South Beach, Sunny Isles, Hallandale, Key Biscayne, Bal Harbour, Fisher Island, Coral Gables, Ocean Drive and all of South Florida. Condosandcondos.com is a registered trademark of AND International, LLC.